There are times when i go from paint brush to erase brush and it does not change to erase. Yes i will look into it soon. Here is a screen shot of what i was asking. Thanks for your screenshot. It looks like you've changed the default brush for the erase tool. 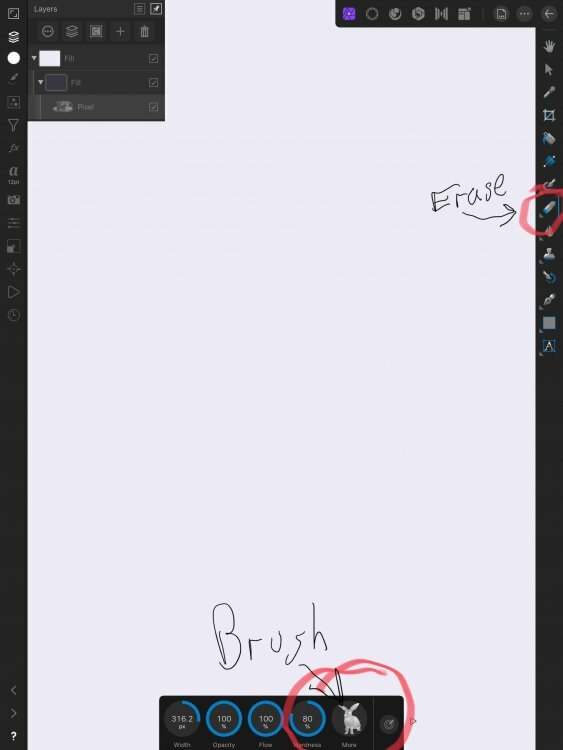 Simply select the Erase tool, open your Brushes Studio and select one of the default round brushes to restore this!